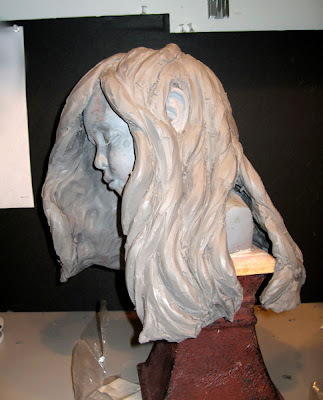 ...... back to sculpting for a bit. Something different....... I'm finally, finally getting back into sculpting again with the lovely Alena. I started this a year ago and stopped because I got too busy with work and my photography stuff. Lately I've been feeling a bit burnt out with photography and thought it was time to get back into sculpting, so Monday nights are dedicated to sculpting again. My last update was in July, this was right after I baked the head. Here's what's new. HAIR! the face looks a tad messy because it's been baked and got some glue stains on it..... 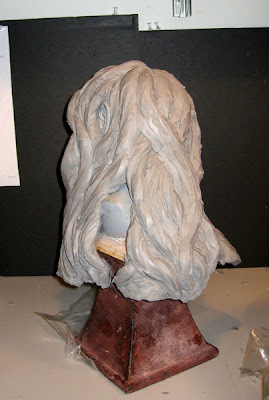 I glued the hair armature on and now am working on blocking in the hair. It's obviously still very rough, my first pass. 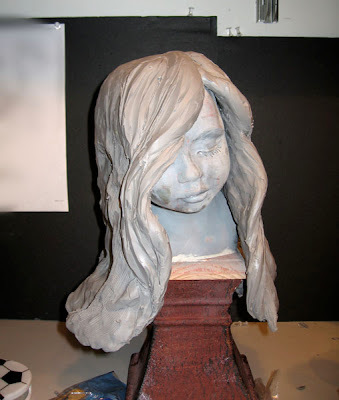 I have to say, doing the hair is far more difficult then I thought it would be and I can't believe how much clay I've been using. 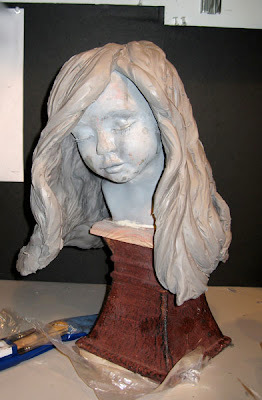 Monday I'm going to add the weights to the inside of the base because the poor girl is slowly tumbling over. This is the first photograph of a series called "Madame X" (obviously) that I'm working on. This shoot only worked out so well because of the amazing help I had. This was a team effort and I can't thank the people involved enough. 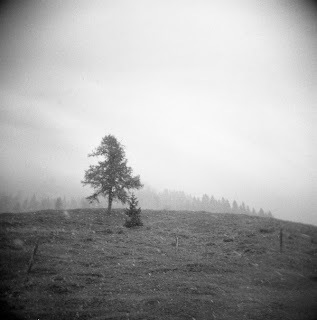 My film photography..... I mean phoblography....I mean..... never mind.